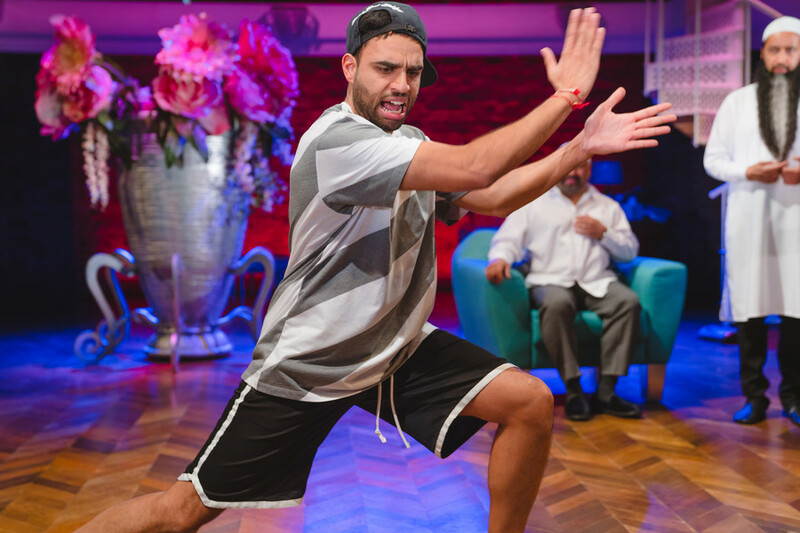 BAFTA and Emmy-Award winning TV writers Anil Gupta and Richard Pinto reimagine Moliere’s great French comedy in modern-day Brum. 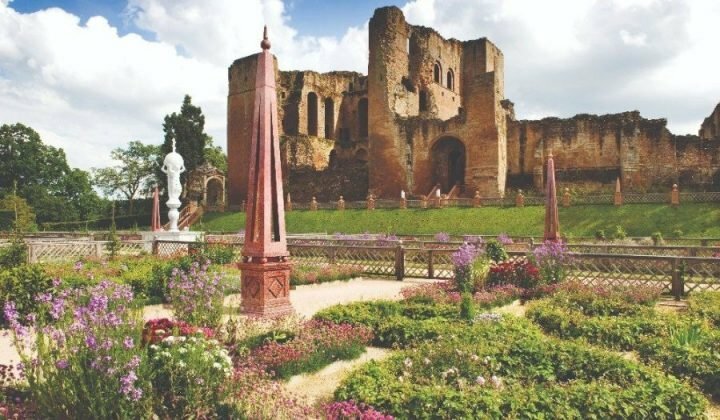 As actor Riz Ahmed, star of HBO’s The Night Of, is working on a new 9-part series for BBC 2, Englistan, telling the story of three generations of a British-Pakistani family, the RSC is currently staging its own exploration of the British-Asian experience. BAFTA and Emmy-Award winning TV writers Anil Gupta and Richard Pinto, who helped create The Kumars at No. 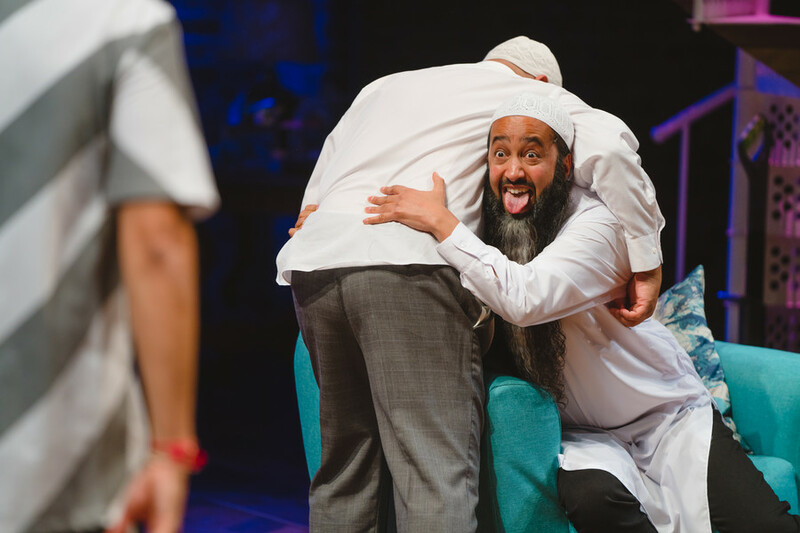 42, Goodness Gracious Me, Citizen Khan and The Office, have completely updated Moliere’s 1664 humorous religious satire swapping Paris for modern-day Birmingham; Christianity for Islam. 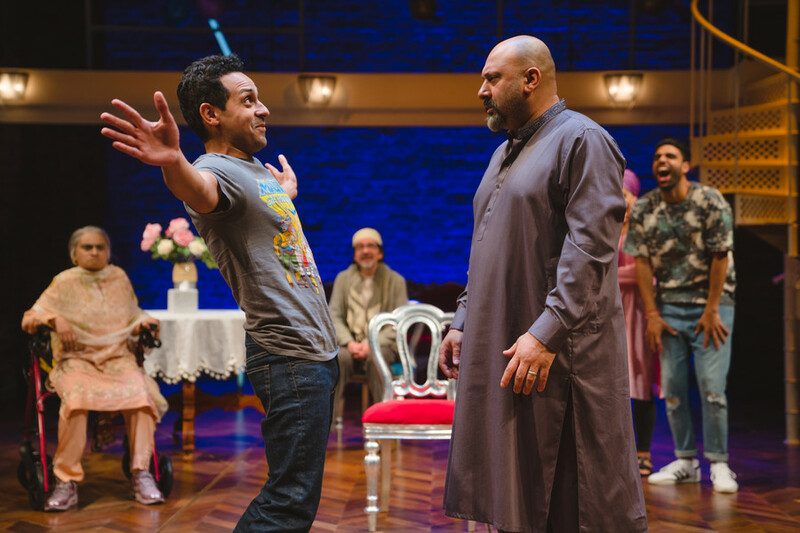 And the result is a sharp, vigorously funny and topical comedy set within the home of a well-to-do Brummie Pakistani family. It cleverly blends themes of religious hypocrisy, #metoo “victim shaming”, Brexit jokes and music styles including a freestyle beatbox rap battle. 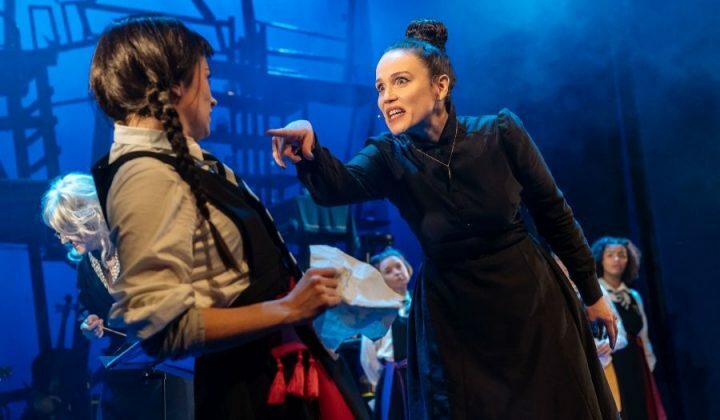 This latest RSC production follows Christopher Hampton’s bilingual modern adaptation of the French classic set in LA at Theatre Royal Haymarket, London, earlier this summer starring Peaky Blinders actor Paul Anderson and Spiral star, Audrey Fleurot. 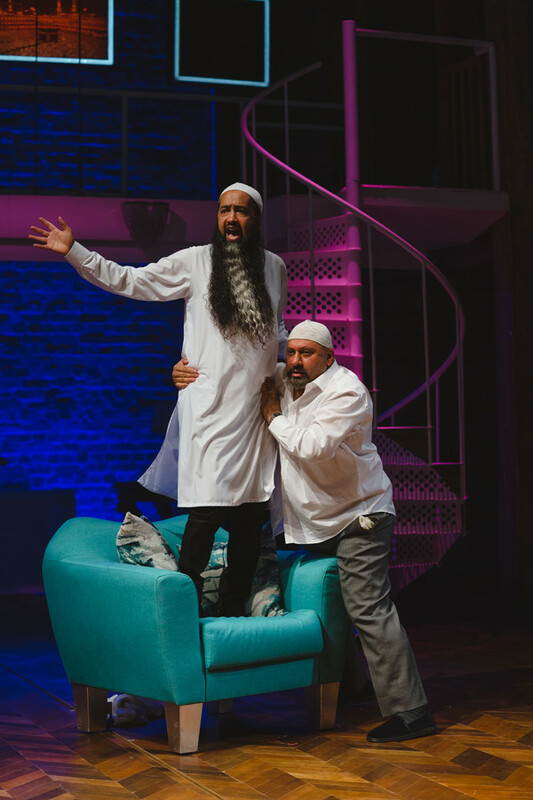 Simon Nagra’s engaging self-made businessman Imran Pervaiz invites poor and pious spiritual guru Tartuffe to stay at his family home to set them on the “right path” as real Muslims. The father-of-two, feels he has lost sight of what Islam is all about and fallen prey to the shackles of “empty consumerism” – his big house, events business, Mercedes and £7,000 Norwegian Spruce decking. 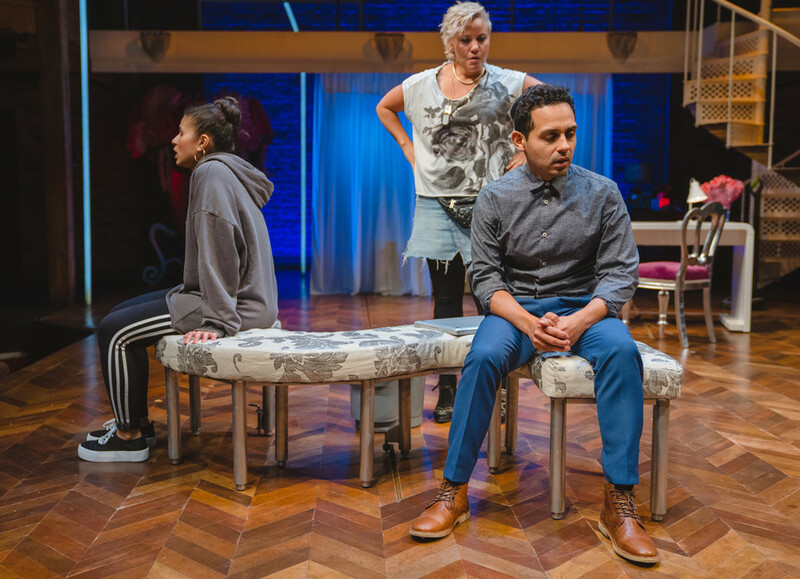 The Pervaiz’s cleaner Darina (Michelle Bonnard) engages in some relationship mediation after Mariam’s boyfriend Waqaas (Salman Akhtar) hears her father wants her to marry Tartuffe. 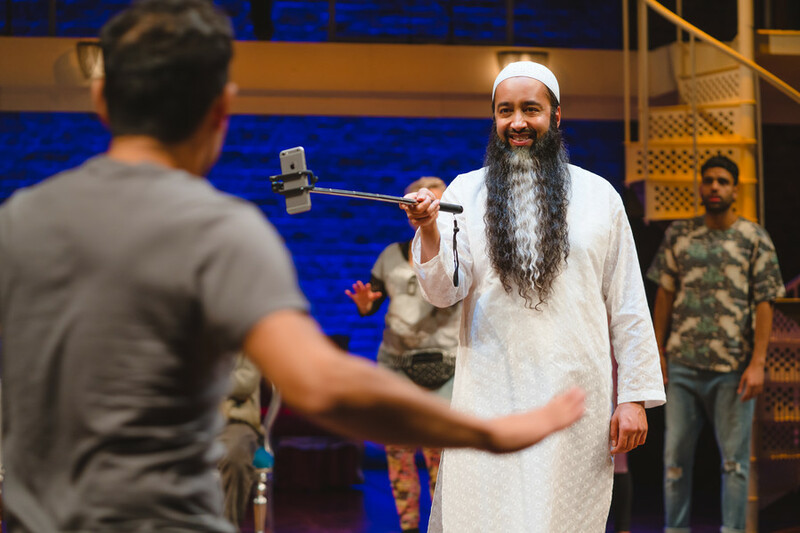 It is not until Act III, Scene II that Asif Khan’s mesmerising social media savvy Tartuffe makes an entrance descending a spiral staircase looking devout in all-white as his beatboxing assistant Usman (Riad Richie) leads the way singing a spiritual song in Urdu into a microphone. She also sets Tartuffe straight on the Qu’ran’s teaching when he tells her in Islam women must cover their hair, not ‘bosoms’. 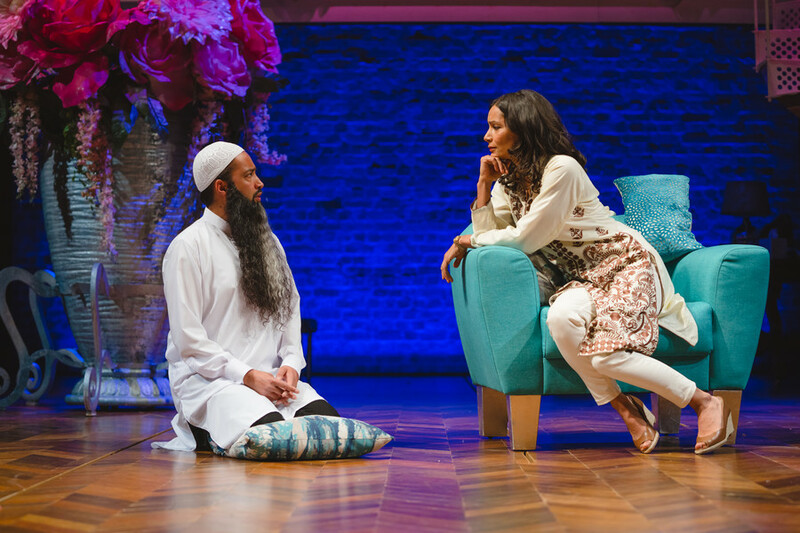 Imran’s beautiful second wife, Amira (Sasha Behar), son Damee (Raj Bajaj), daughter Mariam (Zainab Hasan) soon clock Tartuffe is faking it – sitting in Imran’s bedroom wearing his silk pyjamas watching high definition home-cinema or playing on his son’s PS4. In one of the funniest scenes MC’ing basketball-loving Damee, who in the words of his cantankerous grandmother Dadimaa (Amina Zia) “thinks he is some kala gora gangsta rapper”, tries to win his dad over by challenging the “holy man of Allah” to a superlative freestyle beatbox battle. This slick family saga, directed by Iqbal Khan, at times feels like a live TV sitcom. An excellent two-level set by Bretta Gerecke is accentuated by rich cobalt blue lighting, deep pink Louis Rose settee, family portraits, and a huge ornamental plant-pot. Traditional Punjabi sitar music, mixes with Black Sabbath, cello, urban beats and hip-hop. 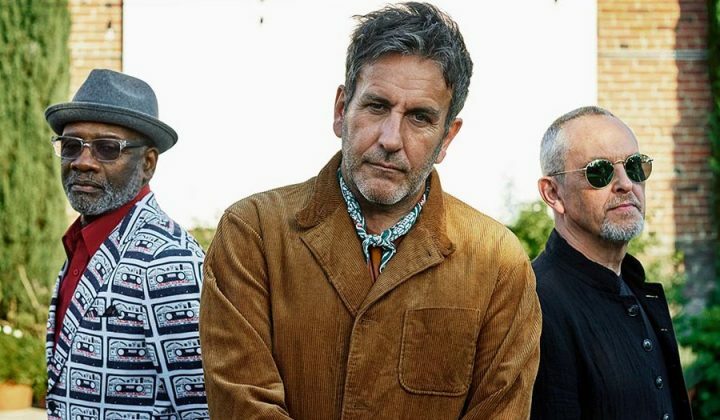 The comedy is taut, intelligent and fresh – brilliantly animated by a super-talented cast who nail the Brummie accent. The fam: back left to right Daddimaa, Khalil, and Damee. Waqaas and Imran in foreground. Gupta and Pinto have not only greatly expanded the female roles but changed the original ending which they reckon Moliere “wouldn’t mind” as it was imposed on him. The play was banned for five years after its first ever showing to the King of Versailles. In their uplifting version Darina has the last word, so if you have a cleaner listen up!